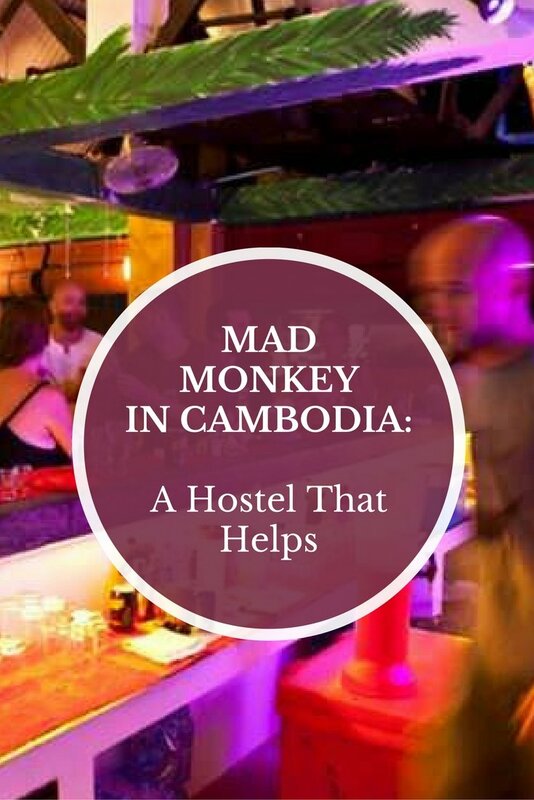 We were recently contacted by Mad Monkey Hostels in Cambodia to help them spread the word of their amazing, funky and fun accommodations around the country. Upon researching their background and their brand, we realized that they are a hostel that truly helps out the local community. They don’t just offer funky hostel accommodation, they actually do a lot of good for the communities where they are located. They are such a unique and socially responsible business that we decided that we would write about them, even though we’ve never actually stayed at one of their hostels! Mad Monkey works with numerous organizations which provide charitable programs for the poorer villages and towns in the nation’s countryside. They’ve funded a number of child education programs with their “Crawl for School” program, which helps to fund facility improvements, school equipment, social activities and transportation for the less fortunate children of Cambodia. As travellers, it’s not always easy to give back to the communities we visit. We’re almost always just passers-by and it can be hard to find a reputable charity that you can trust with your money. Mad Monkey Hostel allows you to participate in some of their charity programs, and even if you don’t have time to help out, just by staying there you are supporting a good cause. Our blogging colleagues Alesha and Jarryd of NOMADasaurus stayed at Mad Monkey Hostels and even donated money to help them build a well in rural Cambodia. It was them who originally introduced us to this incredible hostel and their amazing charitable work around Cambodia. 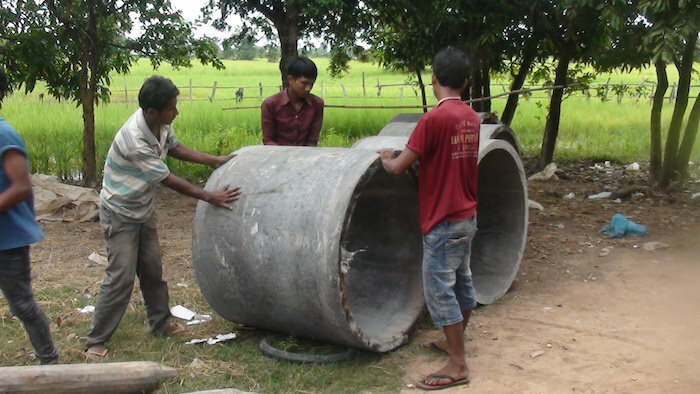 It costs just $230 USD to build a well in Cambodia and they can supply water to entire villages! Dariece and I will be donating money to build one this month and we hope that some of you may want to contribute as well. You can find out more about this life changing donation here! The great thing about donating a well is that you actually see where your money is going. You will be sent photos and updates of the building process and you will see the effect that it has on the village. One day you could even visit the well that you helped build in Cambodia! How cool is that?! So far, Mad Monkey has received funding for 80 wells across Cambodia, and there are already 52 new wells built and operating in the countryside thanks to their efforts. Each well reduces the risk of waterborne disease that is responsible for most child deaths in Cambodia (20% of which are due to diarrhea from bad sanitation and unclean water). As travel bloggers, we often have the opportunity to spread the word about amazing products, cool accommodations and cities worth visiting, but seldom do we get the chance to share such an amazing charitable cause that can have such a measurable impact on a community and a nation as a whole. We always love staying in hostels for their sense of community, but imagine a hostel that gives this much back? It’s truly inspirational and should become a precedent for other hostels, hotels, B&B’s and guest houses to follow into the future. We’ve recently teamed up with HostelsClub.com and we’re happy to see that they have many Mad Monkey hostels available to book through their site. We haven’t been to Cambodia for nearly 6 years, but when we return, we’ll definitely stay at Mad Monkey and try to participate in one of their many projects around Cambodia. If you’re anywhere near Phnom Penh, Siem Reap or Kampot, we strongly recommend you check them out and see what they offer you, and the less-fortunate people of Cambodia. Great stuff guys!! Love it!!! And good on you for helping the locals build a well in a nation that could use plenty of help. I recall when Kelli and I visited PP – the capital – and saw so many organizations that helped out less fortunate Cambodians. Instead of kids going out on the street to sell stuff at 4 and 5 years old – which you see by the river – these organizations help keep kids in school. I also recall Angelina Jolie’s organization in Battaumbang. Stunned when we drove by and I saw her name adorning a nice looking building out in the middle of nowhere. Thanks for spreading the word guys! This kind of thing is wonderful. Many people are happy to help out more than they are already. Two of the big challenges are to appeal to them in a captivating way (person connection are good – photos and videos help a great deal) and trustworthy opportunities. Sadly a significant issue is people seeing how willing people are to part with their money to help others and they figure they can get that money by just saying it will help others and then doing nothing, or very little for others (and keeping the cash for themselves). So trustworthy appeals that engage happy to help both benefit those receiving funds and those giving funds. I have long used TrickleUp, Kiva and Global Giving http://www.globalgiving.org/curiouscat to help (and they each do a good job of engaging donors (tugging on their heartstrings and making them happy to give). I try to give back to the places I visit. Thanks for your comment and for sharing the charity groups that you trust. Thanks for sharing this! One of my favourite things about Cambodia is the fact that there are restaurants and hostels etc that help the community. It is such a simple way to make a difference, just by choosing a particular place to have your dinner. There was one we went to, I can’t remember the name, but the staff were all ex-street kids who were learning to work in the service industry, and being trained as chefs etc. It was my favourite dining experience in Cambodia. Ah I wish we’d known about this place when we were in Cambodia! Such a great cause, I loved how easy it was to find initiatives and social enterprises in Cambodia. Travellers can easily make a difference by choosing these kinds of places to spend their money in. Thanks for highlighting this great hostel guys! I love hearing about companies who give back to the local communities. I’ve always questioned what businesses / behaviours we enforce through our consumer purchases. Well Done! I know where I will be staying when I visit Cambodia! Excellent! Glad to hear it 🙂 It’s nice to put your money towards doing some good – and in this case, you know where your money is going. 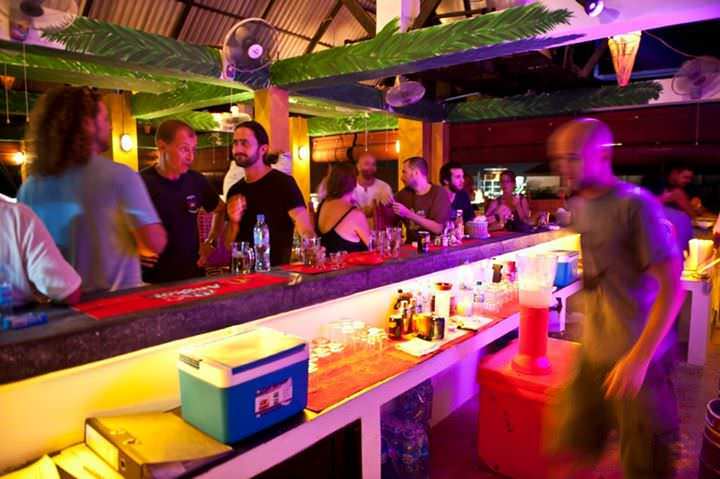 We can’t wait to go to Cambodia again and stay at Mad Monkey!